The forthcoming CV Show at the NEC, Birmingham in April will see Michelin debut its all-new X Multi truck tyre line-up. According to tyre manufacturer, tests results have shown the next-generation fitments deliver 15-20 per cent more mileage, at no extra cost, than the current X MultiWay 3D series which it will be replacing. Designed to improve longevity, the new tyres will initially be available from April in 315/70 R 22.5 all-position and drive fitments, alongside 385/55 R 22.5 steer and trailer tyres. Additional sizes will follow later this year. 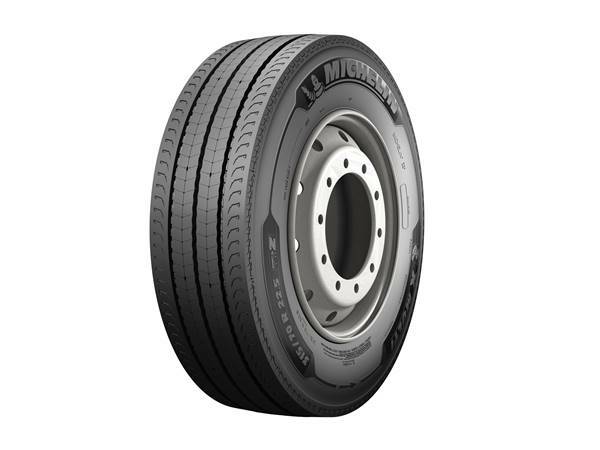 Michelin will also be showcasing the breadth of its commercial vehicle tyre range at the show, including examples of its fuel-saving X Line Energy tyre range, which was expanded with six additional tyre sizes in December 2016.